The American Health Council has cordially appointed Dr. Mark B. Woodland, MD, MS as “Best in Medicine”. 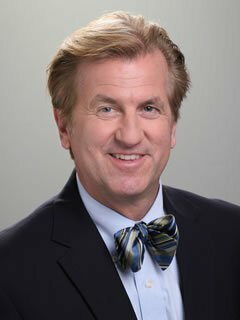 Amassing an impressive 32 years working in the healthcare industry, Dr. Mark Woodland is an expert in his field, serving as Chair to the Department of OBGYN and running his own private practice. Whilst in education, Dr. Woodland focused his studies around medicine. Firstly he received his MS in Biology at the Villanova University, and then followed this by attaining his MD from the George Washington University in 1985. He also had the opportunity to build his professional development by completing his internship and residency at the George Washington University Hospital. Dr. Woodland has spent the past two years in his current capacity as Chair of the Department of Obstetrics and Gynecology at Reading Hospital, Tower Health System. At Reading Hospital, advancing patient’s health and wellness is their mission. More than 1,000 physicians and providers across 46 locations offer comprehensive care ranging from prevention, screenings, and education to the latest clinical services and treatments. The hospital’s national recognized flagship institution has served the community since 1867, and its current location since 1926. With a tradition of clinical experience and a commitment to low patient costs, Reading Hospital performs nearly 19,000 surgical procedures a year. Reading Hospital is home to many of their top-tier specialty care centers. Dr. Woodland first became involved in his profession when he was due to start a Philosophy, Religion and Computer Science Major. Realizing he found the subjects Biology and Chemistry more intriguing, he was led to change courses. Attributing his success to his family and his upbringing, Dr. Woodland believes his hard work and passion continually motivates him to make meaningful changes in the world. Displaying extensive expertise obstetrics and gynecology, along with exemplar patient care, Dr. Woodland’s daily responsibilities also include teaching and minimal invasive surgery. Dr. Woodland is widely known as The Chair of the OBGYN Administration Regulations Procedures, teaching new procedures throughout the country to help make national, meaningful changes. Among Dr. Woodland’s many professional accolades, he holds the accomplishment of becoming Vice Dean of Graduate Medical Education in high esteem. He is also proud to have become the OBGYN Residency Program Director, Associate Director of the MIDS Fellowship, Director of the Women’s Health Advocacy and Public Policy Fellowship for Drexel University College of Medicine. Dr. Woodland has also had the honor of being awarded the 2004 Consumer Guide of Top Docs for Gynecology and to be ranked ‘Top Doctor’ for the region in Gynecologic surgery. Dr. Woodland has also been awarded Patient Recognition Awards for Compassion and Clinical Care in 2010, 2011 and 2012 and Patient Choice Awards. In an effort to remain ahead in his field, Dr. Woodland is a member of multiple organizations including the American Congress of Obstetricians and Gynecologists, The American College of obstetrics and Gynecology and the Society of Laparoendoscopic Surgeons. In the future, Dr. Woodland’s goals include restricting the department, a process he is currently halfway through. Dr. Woodland also aspires to perform more leadership opportunities. In recognition of his accomplishments in the medical industry, Dr. Woodland has been recognized by The American Journal of OBGYN as one of the top 5% of reviewers. A pinnacle moment in his career, Dr. Woodland holds in high regards the opportunity to maintain his own private practice in Gynecology in Philadelphia. As part of his other external commitments, Dr. Woodland serves on the Editorial Review Boards of the Journal for Minimally Invasive Gynecology as well as Obstetrics and Gynecology. In his time outside of work, Dr. Woodland enjoys crafting furniture and woodworking to create his own projects. He is also keen to dedicate his time when possible to help charitable causes for issues including Transgender Movement and Opiate Addiction, whilst he also teaches Bioethics. At Reading Hospital, advancing their patient’s health and wellness is their mission. More than 1000 physicians and providers across 46 locations offer comprehensive care ranging from prevention, screenings, and education to the latest clinical services and treatments. With a tradition of clinical excellence and a commitment to low patient costs, they perform nearly 19,000 surgical procedures a year, Reading Hospital is home to many of their top-tier specialty care centers. Honored by the 2004 Consumer Guide of Top Docs for Gynecology. Has been ranked as “Top Doctor” for the region in Gynecologic Surgery. Honored to have received Patient Recognition Awards for Compassion and Clinical Care in 2010,2011, and 2012 from the Patient Choice Awards.